Are you looking for a great place to buy bus. 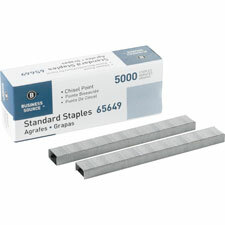 source chisel point standard staples? Then you have come to exactly the right place! Office Quarters is a virtual office supply store featuring over 24,000 office supply items, including hard-to-find items at great prices. Most orders placed before noon EST are shipped the following business day from our Albany, NY location. Specials Page or like us on facebook for access to rock-bottom prices and great store discounts. OfficeQuarters respects your privacy and does not sell or purchase mailing lists for greater protection of your information.